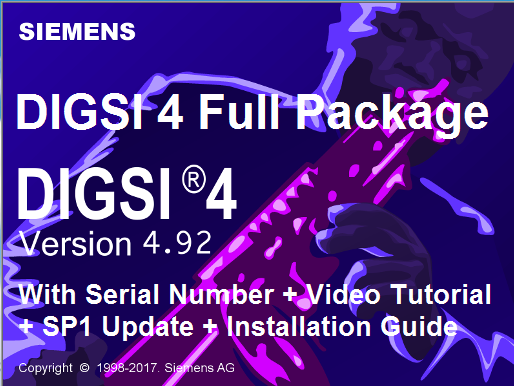 DIGSI 4 is for configuration of all SIPROTEC 4, SIPROTEC Compact, SIPROTEC 3 und SIPROTEC 2 devices which is designed with a modern, intuitive user interface. 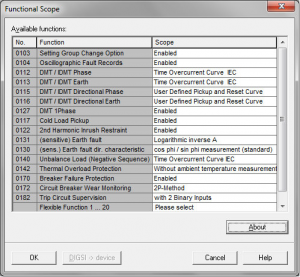 With DIGSI 4, SIPROTEC devices are configured and evaluated. From the numerous protection functions in a SIPROTEC devices, it is possible to easily select only those which are really required. The settings can be entered and displayed as primary or secondary values. Switching over between primary and secondary values is done with one mouse click in the tool bar. 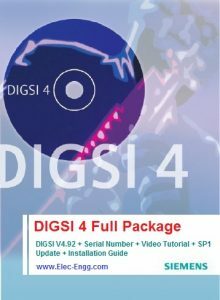 The DIGSI 4 matrix shows the user the complete configuration of the device at a glance. 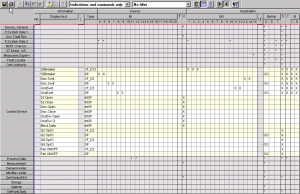 For example, the assignment of the LEDs, the binary inputs and the output relays are displayed in one image. With one click, the assignment can be changed. With the CFC (continuous function chart), it is possible to link and derive information without software knowledge by simply drawing technical processes, interlocks and operating sequences. Logical elements such as AND, OR, timers, etc., as well as limit value requests of measured values are available.Special attention has been paid to commissioning. All binary inputs and outputs can be set and read out in targeted way. Thus, a very simple wiring test is possible. Messages can be sent to the serial interface deliberately for test purposes.